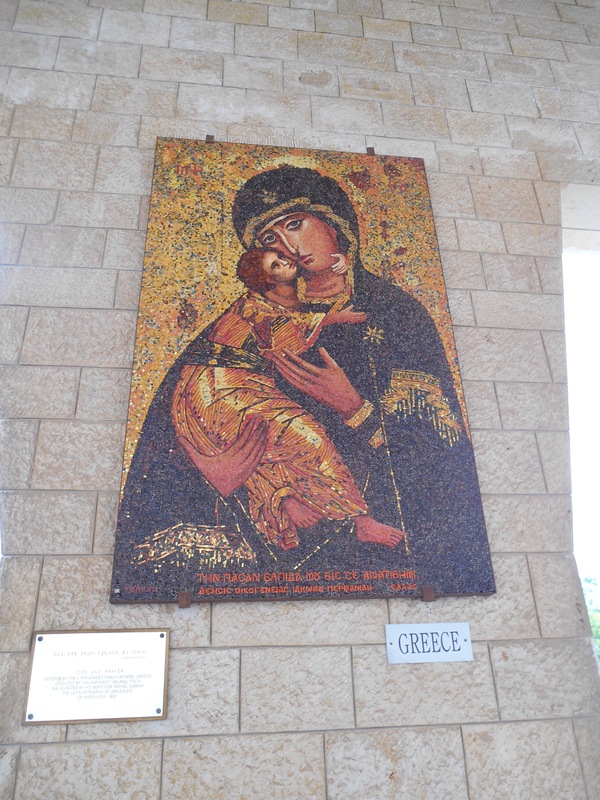 After a fresh Israeli breakfast I walked to meet the start of my tour for a trip to Nazareth, the birth town of Jesus. I was transferred to the city with two American ladies Rory and Ronnie, and a polish guy Rubbick. We were dropped at the steps of the old city and walked through the gorgeous architecture to our hotel, the Fauzr Azir Inn. 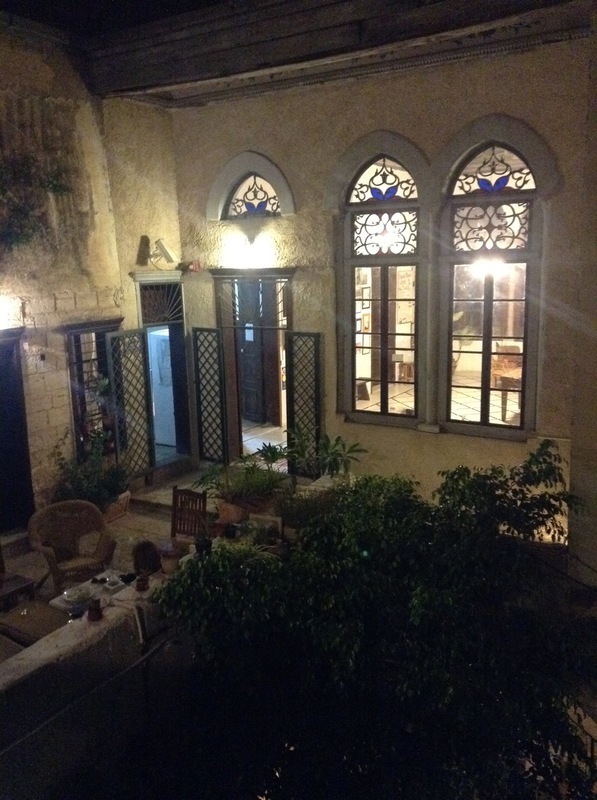 With open air balconies, high ceilings and stain glass windows, this building was the mansion of Fauzr Azir, a Palestinian man from Nazareth. In the perfect state between ramshackle and functional it was endlessly charming. Rubbick encouraged me to begin exploring the town, not before first showing his roots by offering me a shot of vodka, at 11:30am! We were in the centre of the old city, avenues leading off in every direction, uneven in pattern and easier to get lost in than to resist. 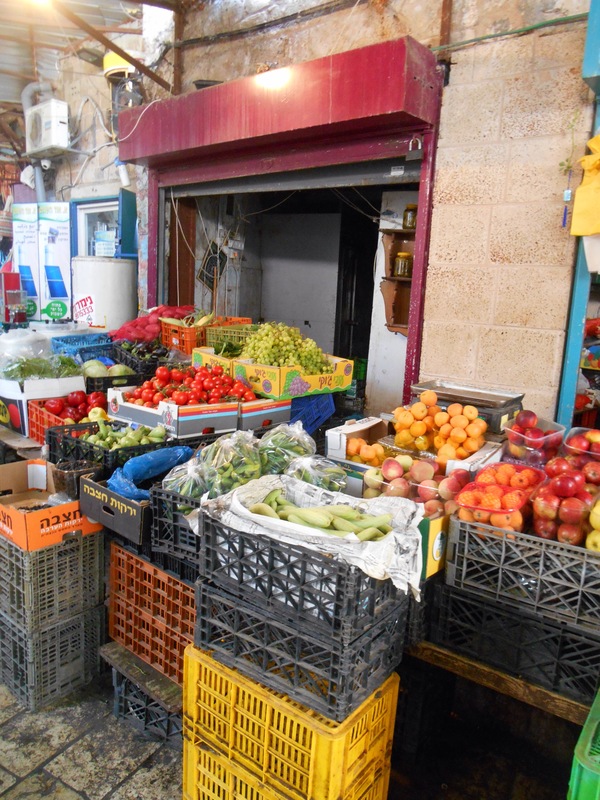 We walked several times through the market where sellers were displaying grape leaves, cherries and fresh veg. 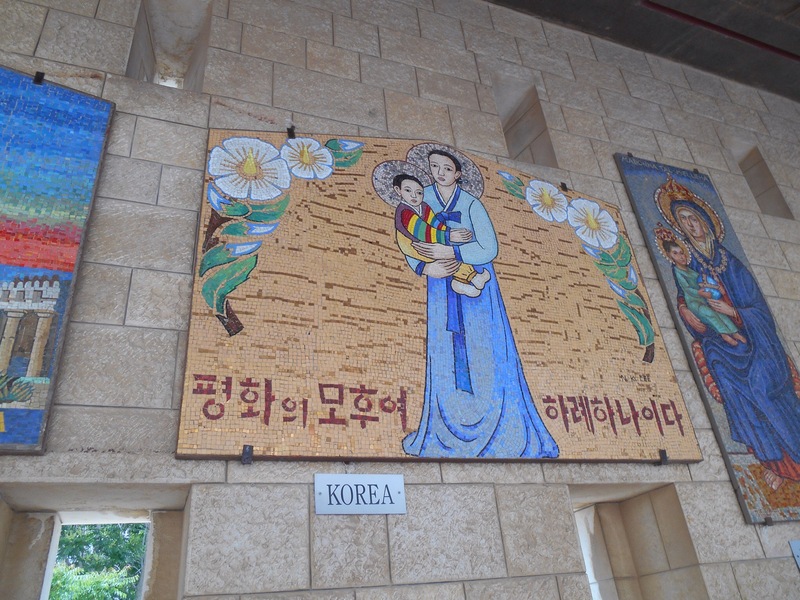 We soon came across the Church of the Annunciation, the current church the 4th largest in the world, largest in the Middle East and at only 47 years old, the Christian recognition of the site of Mary’s house where Christian’s believe Mary was given the news she would bear a child. 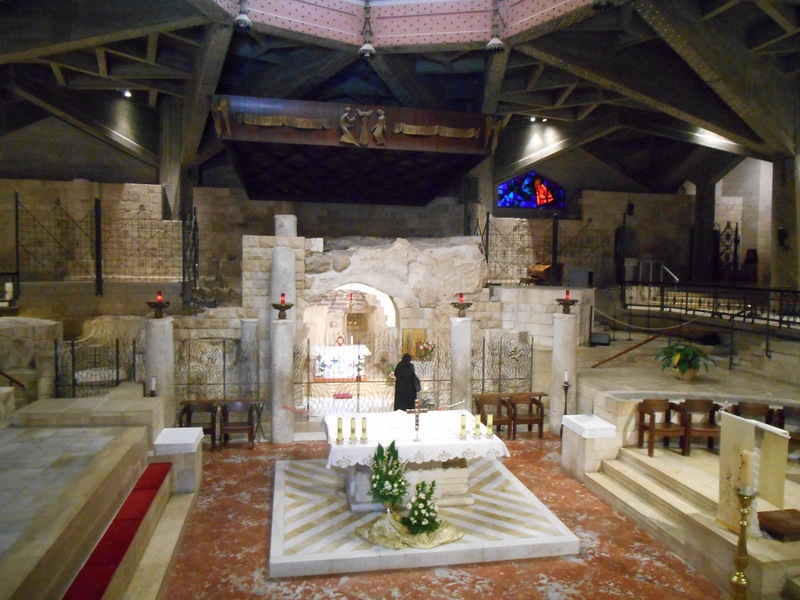 There was a grotto, the site of the annunciation, inside the beautifully modern church. 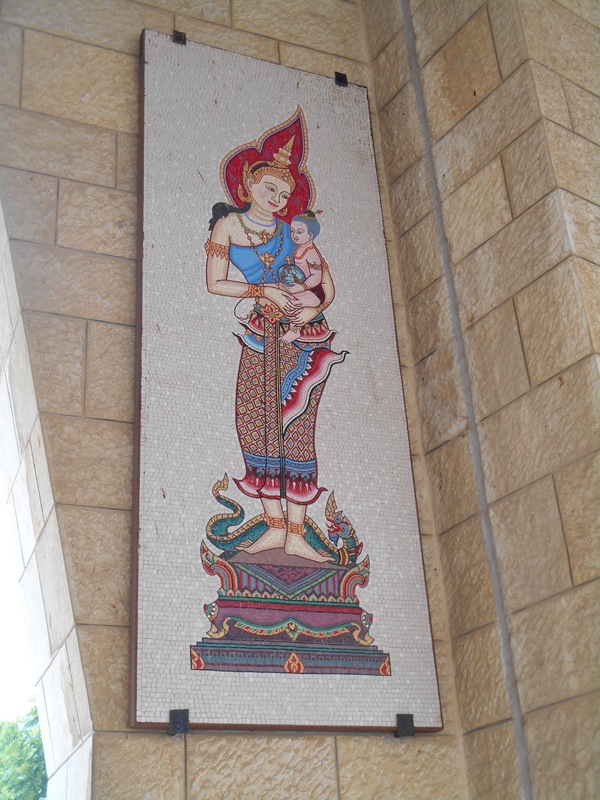 It was funded by churches all around the world and outside was mosaics from each one, each one representing differently Mary and child. It was interesting to see her pictured in traditional Chinese or Indonesian clothing, or represented according to the culture of that country. 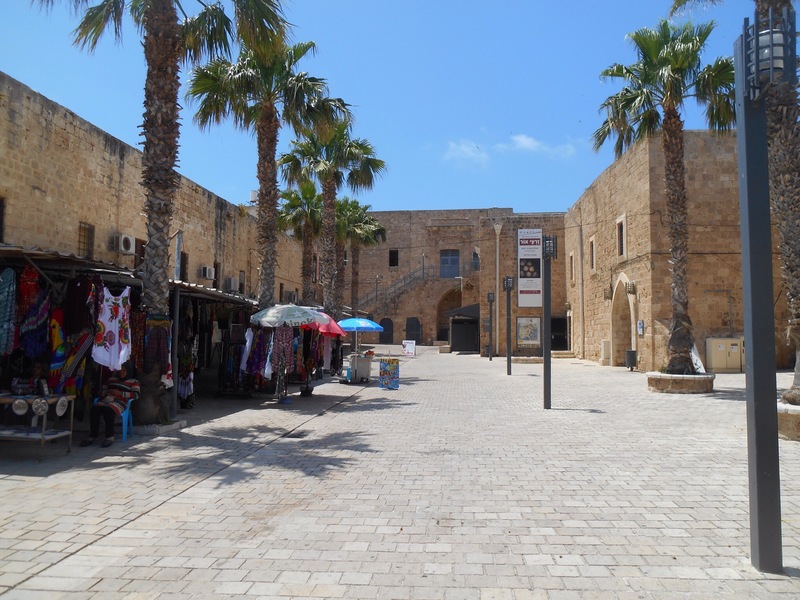 In the grounds was excavations of original buildings from the time of Jesus included a supposed site of the carpenter shop of Joseph. The old city was small and easy to manoeuvre. 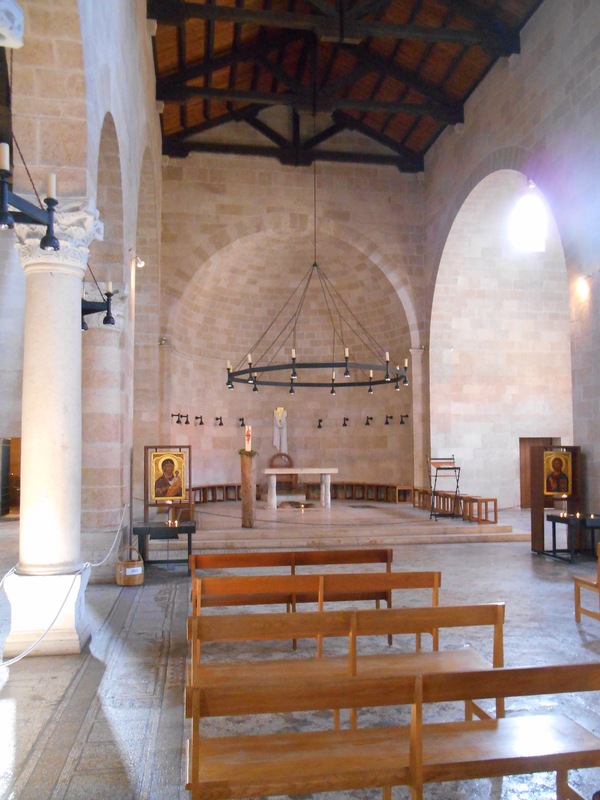 Within such a small space was a mosque, synagogue, Catholic Church and among others, a Greek Orthodox Church. Greek Orthodox believe the annunciation happened at the well, so their ornate church is built over the site of the still functioning well. 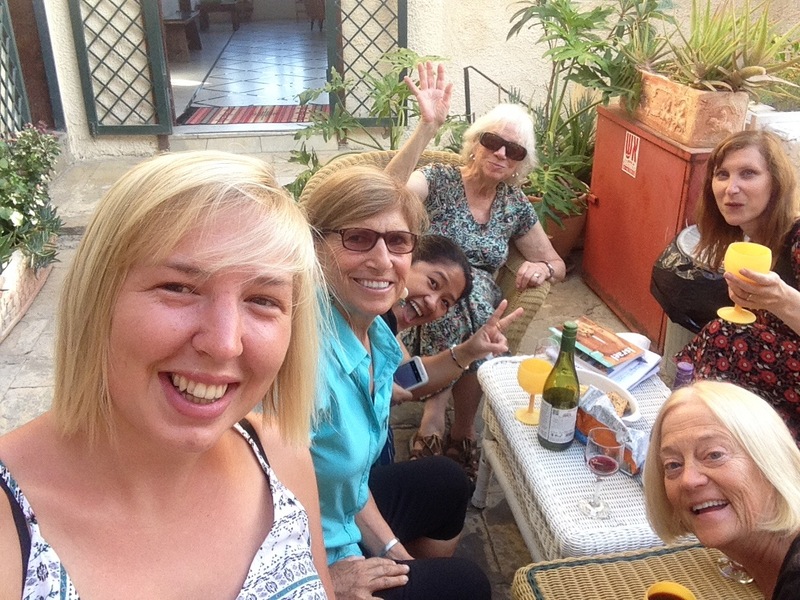 After a lot of walking through the historic streets, I passed the late afternoon drinking coffee in the square and then returned to the inn early evening to sit on the terrace drinking and sharing stories into the night. In the morning we met at Mary’s well to be taken on a day tour to some of the northern sights. First up we visited Mt Precipice. Here was where an angry mob tried to throw Jesus of the mountain, and it had a great view of Nazareth sprawled across the opposite hill. Into the countryside and the land was being managed by community collectives and a few by Kibbutz. We were taken to an organic olive press to be told the process of making one of the key exports from Israel. Olives grow proficiently in this area and can be harvested after 7 years. 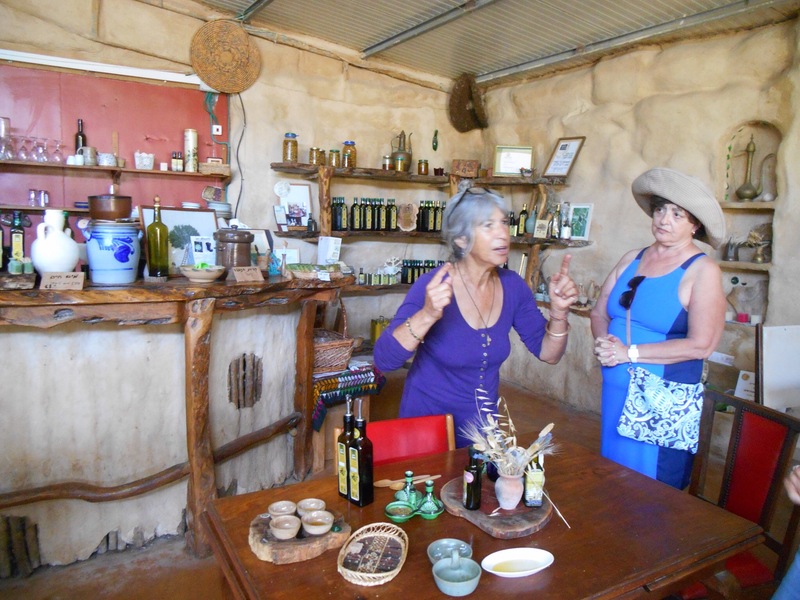 A fascinating lifestyle had grown from one families learning and experimenting with making olive oil from the ancient trees surrounding them and we got to sample several types. Hint: A good olive oil should burn on the way down! 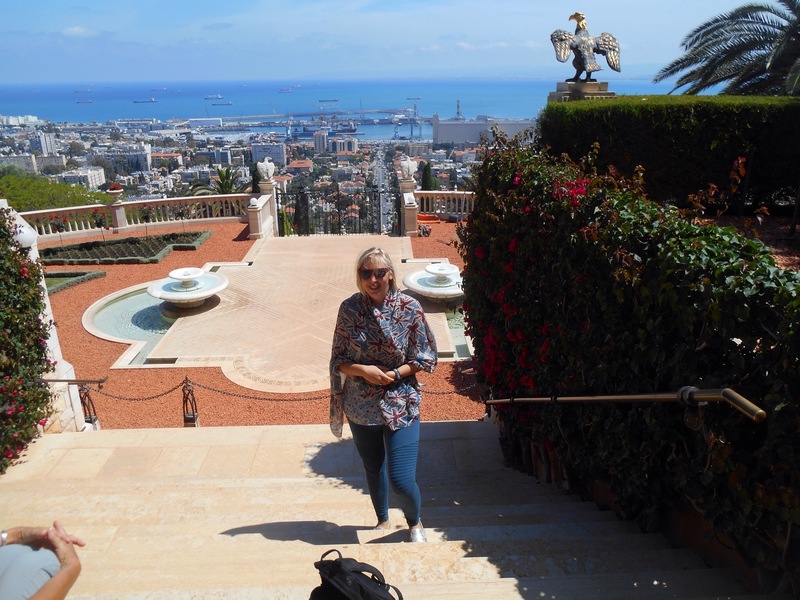 We drove to Haifa, Israels third biggest city. It has more of a modern and functional feel, one particular building based on a skyscraper in Dubai. 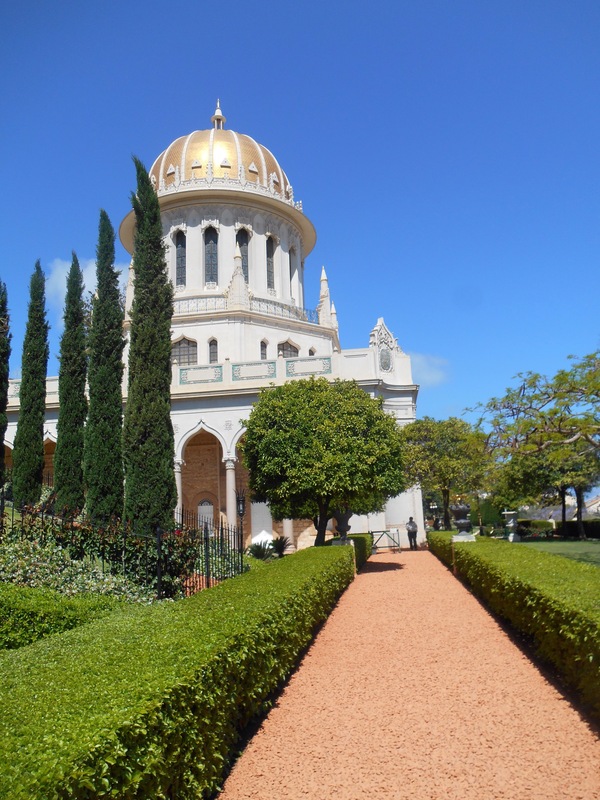 The highlight here is the High Gardens and the site of one of only 8 temples of the Baha’i religion originally from Persia. 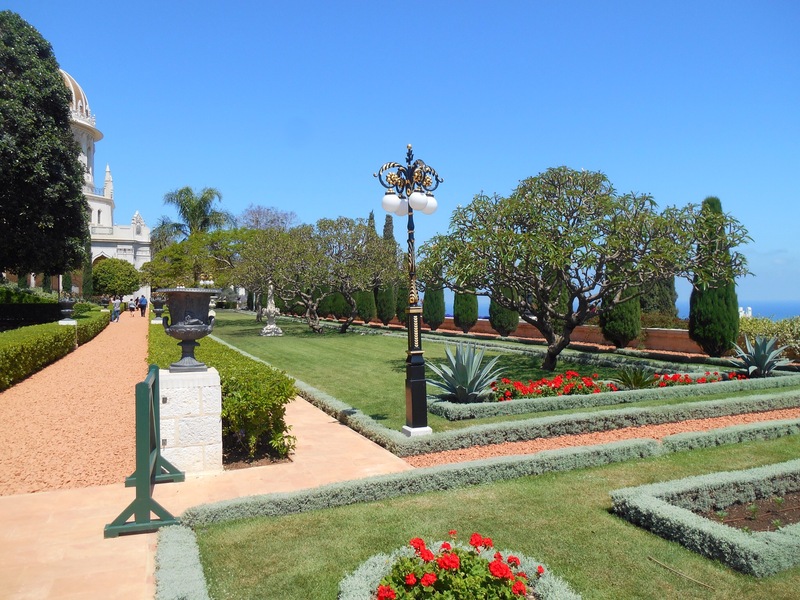 It was incredibly manicured, workers pruning the gardens with rulers and the view over the city from this steep vantage point was beautiful. The temple was elegant marble and sweet smelling as we entered. 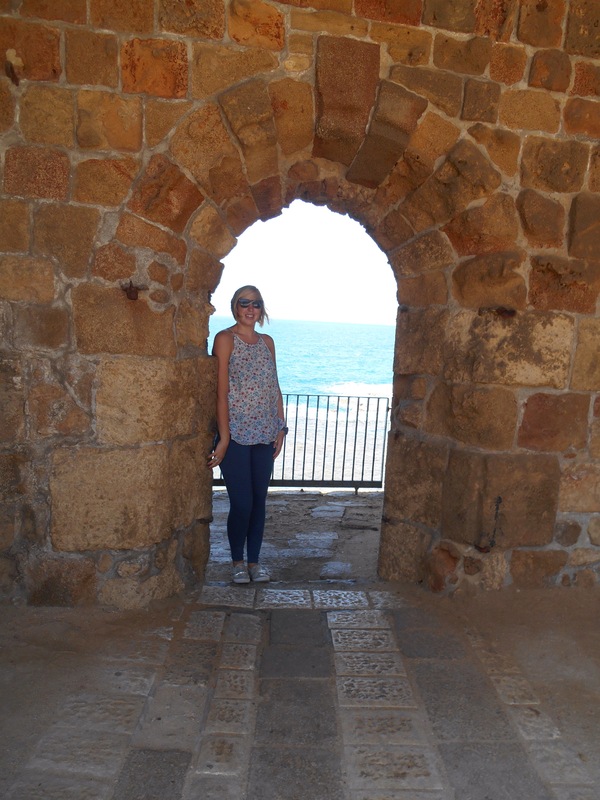 The next town we visited was Acre or Akko. 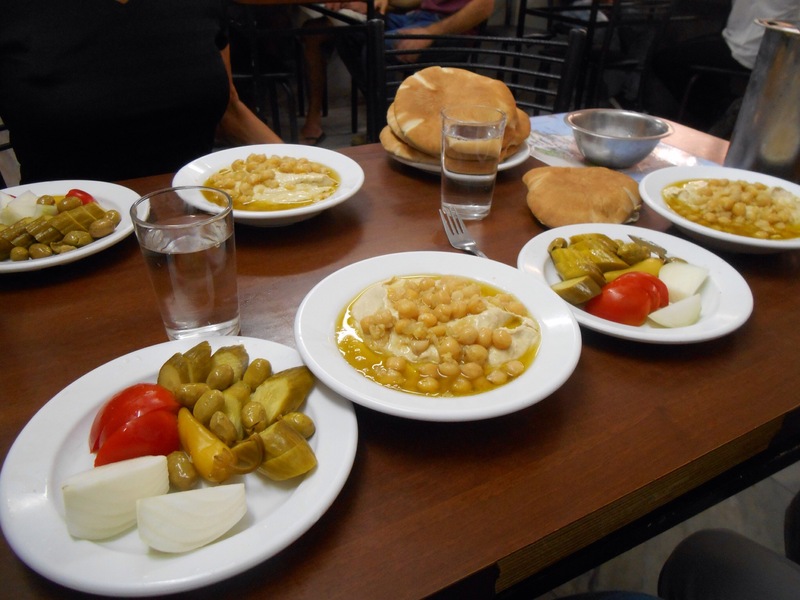 This was our lunch stop and one of the places claiming beat hummus in Israel so we made a bee line for this simple cafe to enjoy vast portions of hummus, pita and pickles amongst locals. 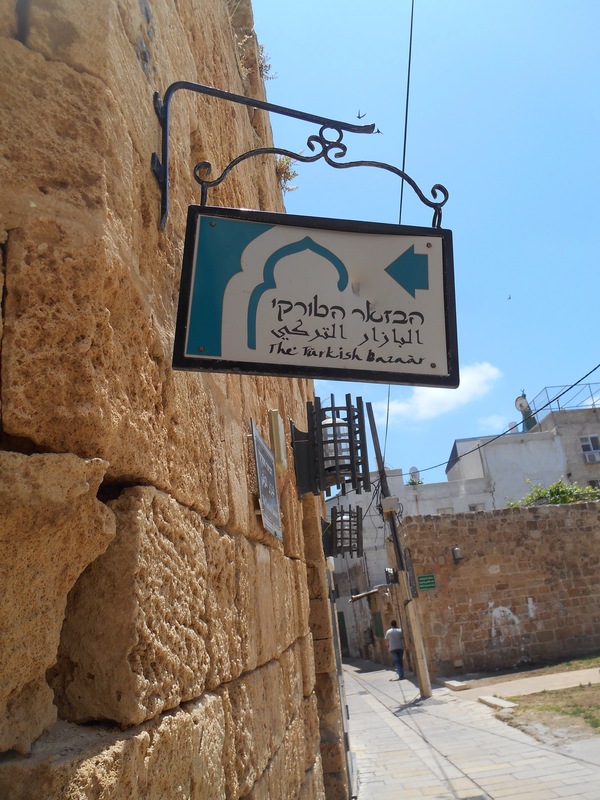 We then set about walking around the old city, loosing ourselves between the walls of the citadel and the old city where the alleys changed direction frequently. Once we got to the coast it was easy to find your bearings following the sea wall. 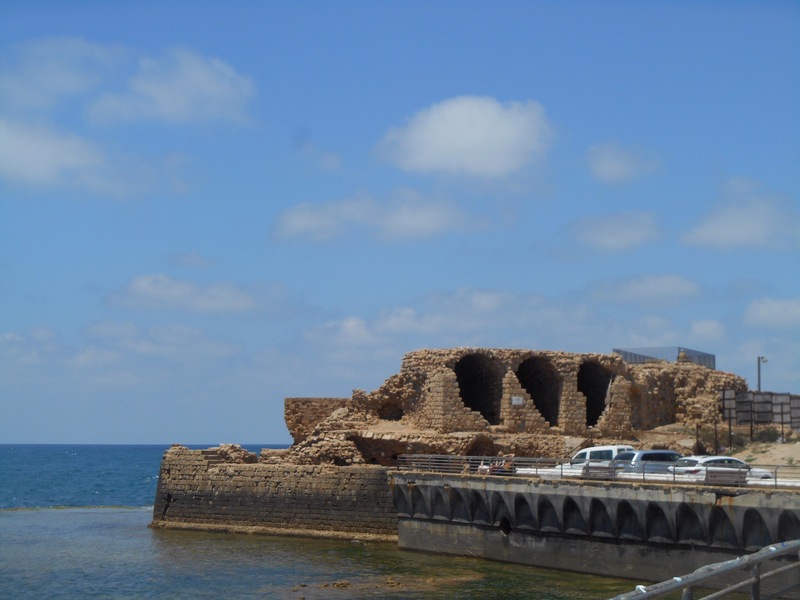 Akko was the site of the defeat of Napoleon in 1799 as the town was prepared for his attack and reinforced. 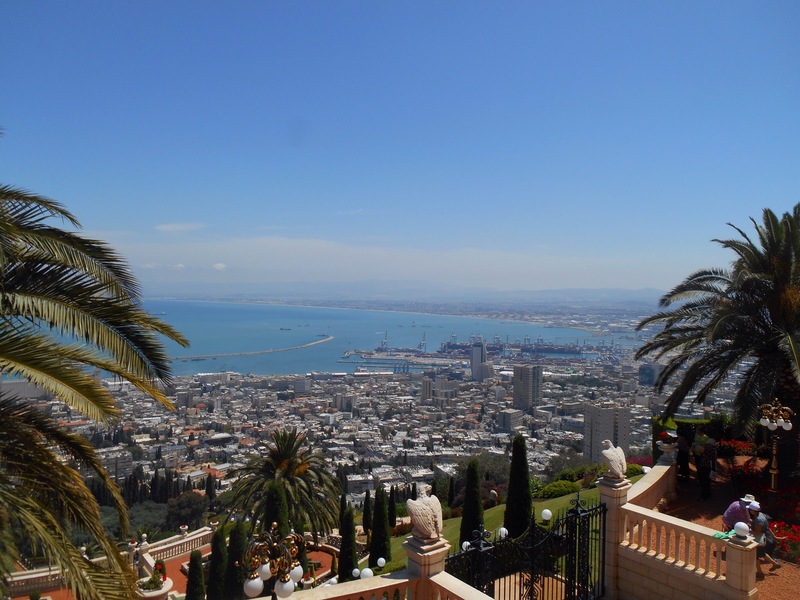 It has a gorgeous coastline and you can see the coastal city of Haifa. We also peruse do the Turkish bazaar here, an interesting hint as to the intertwined links of neighbouring countries. Sometimes this is the most interesting part of travelling overland as the synergy and similarity of places shows how they affected each other’s histories. 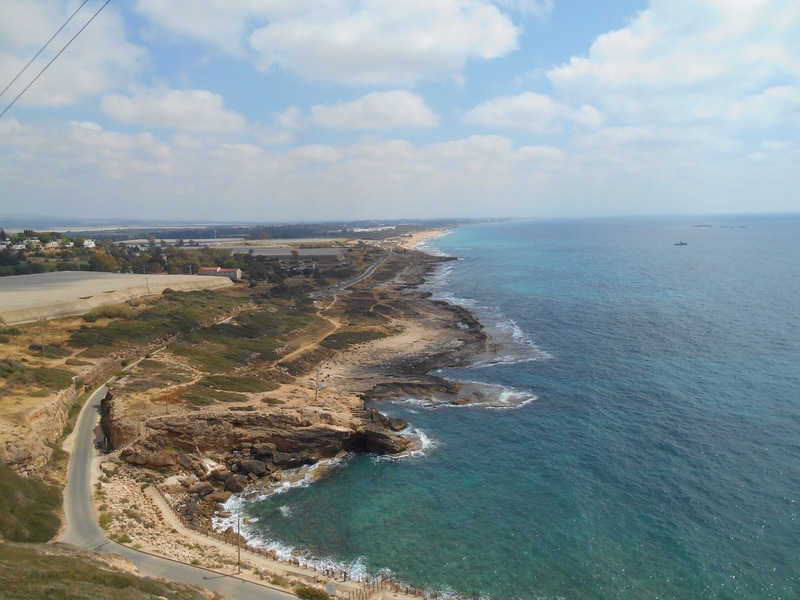 Heading further north we reached Rosh Hanikra, once the border crossing to Lebanon. 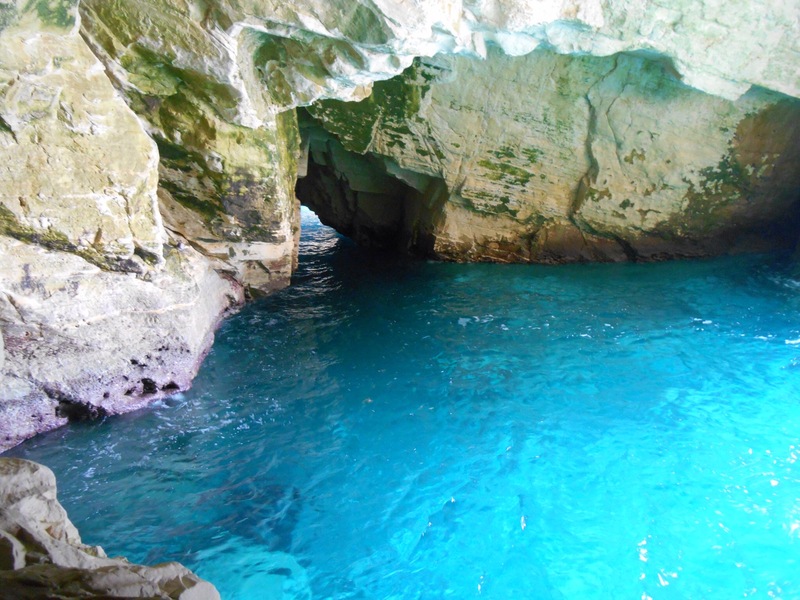 We took a cable car down to the waters edge to see the natural intrigue of sea caves and the birdlife on this stretch of coast. 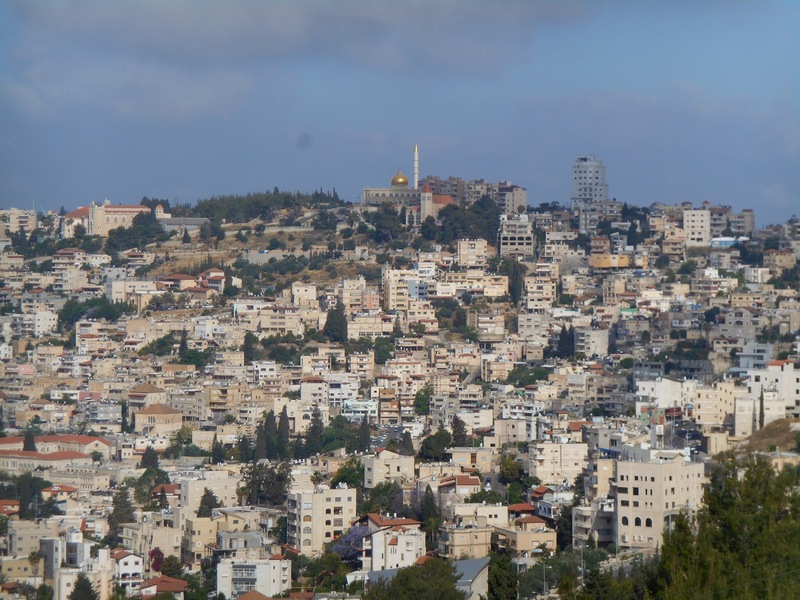 It was also interesting because of that difficult political relationship as the British had connected Israel to Lebanon and the rest of the world by train, carving out the rocks to make this trade route. Now sealed off since the fighting between Israel and Lebanon, it is another display of the volatile nature of political relationships in this area. The north is an Arabic area and I was introduced to a traditional Knafeh, made with goats cheese topped with fried noodles in syrup, often also containing sultanas and other goodies. It was delicious. That night we once again sat around drinking wine and forgetting all about dinner as we shared more stories in the open air. The next day we were heading north east to see the Golan Heights region. 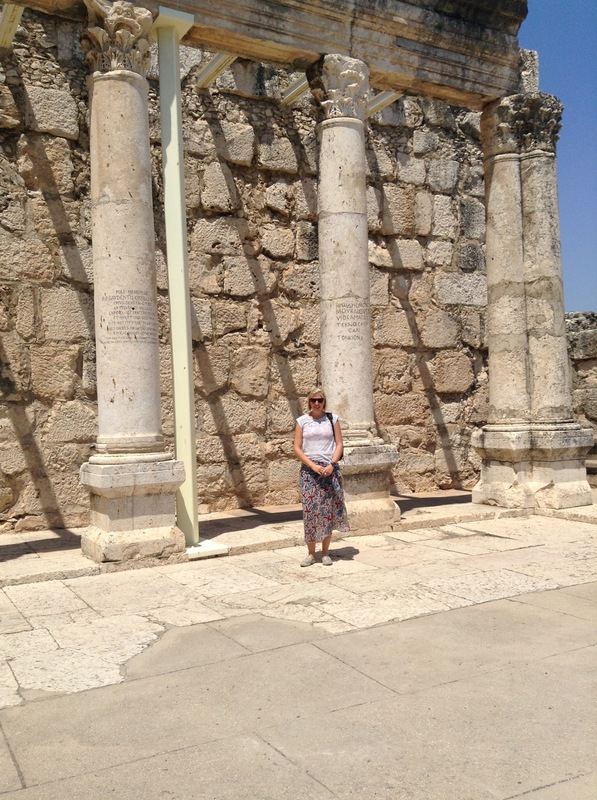 We passed Cana and the church of the wedding where Jesus performed his first miracle, turning water into wine. Picking a couple up in Tiberius we then headed to the site of another miracle, Tagbha. 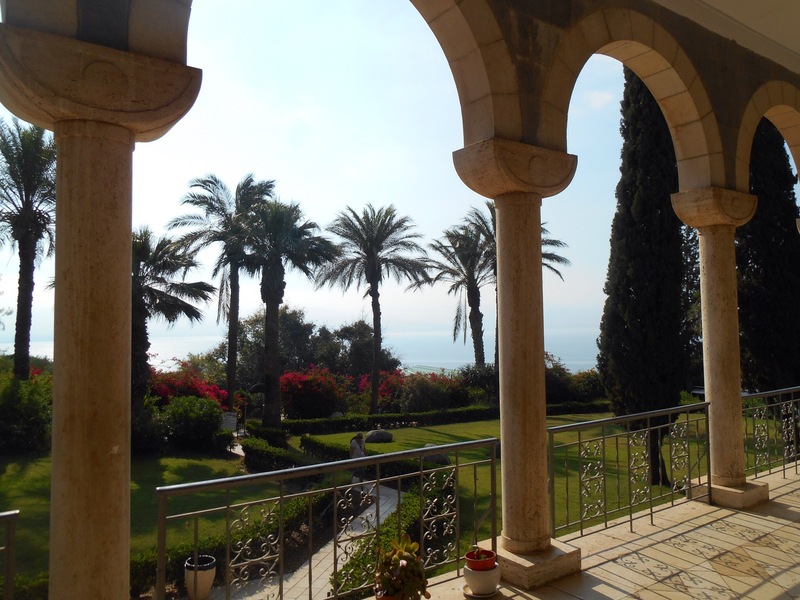 Here Jesus fed many followers the two fish and 5 loaves overlooking the Sea of Galilee. 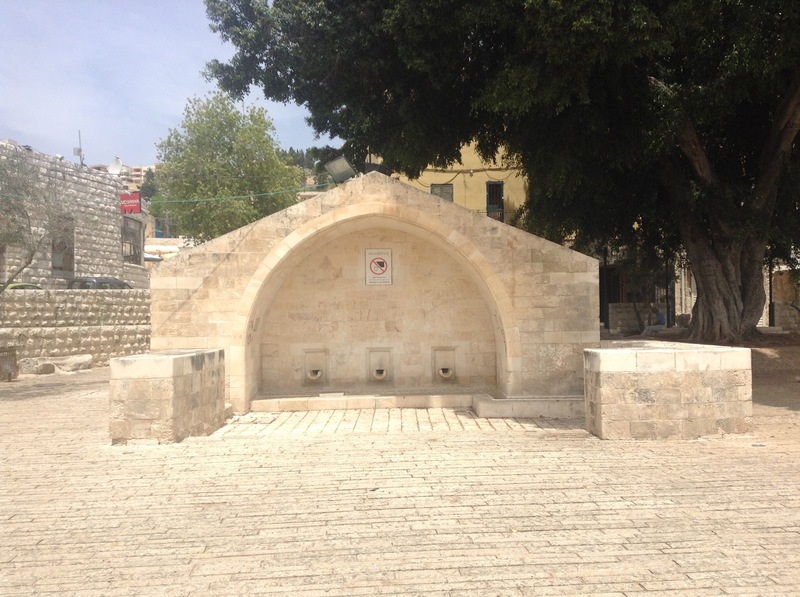 Several churches in this area commemorate the Christian significance of this site. 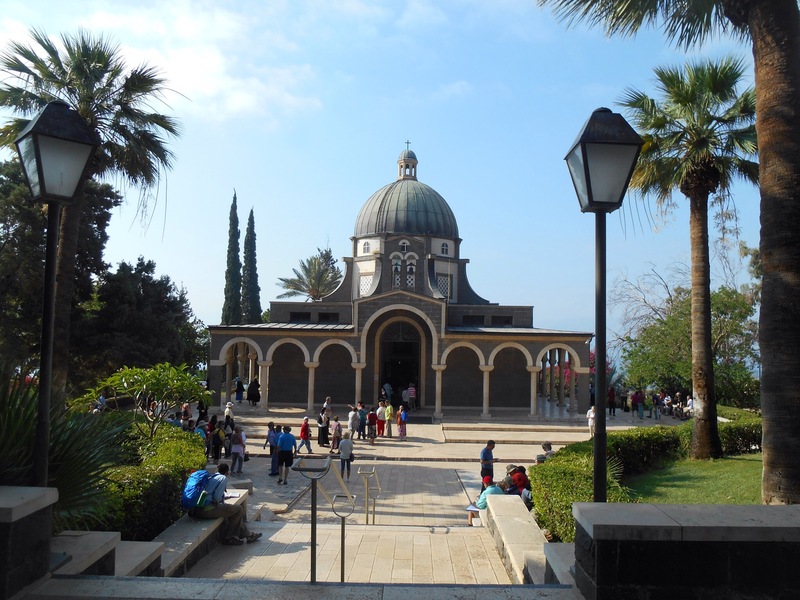 We next visited Mt Beatitudes, a mound on the banks of the lake also, the spot where Jesus preached the beatitudes laying down significant guidelines for the Christian faith. The northern part of Israel is very green and produces a lot of the fruit. 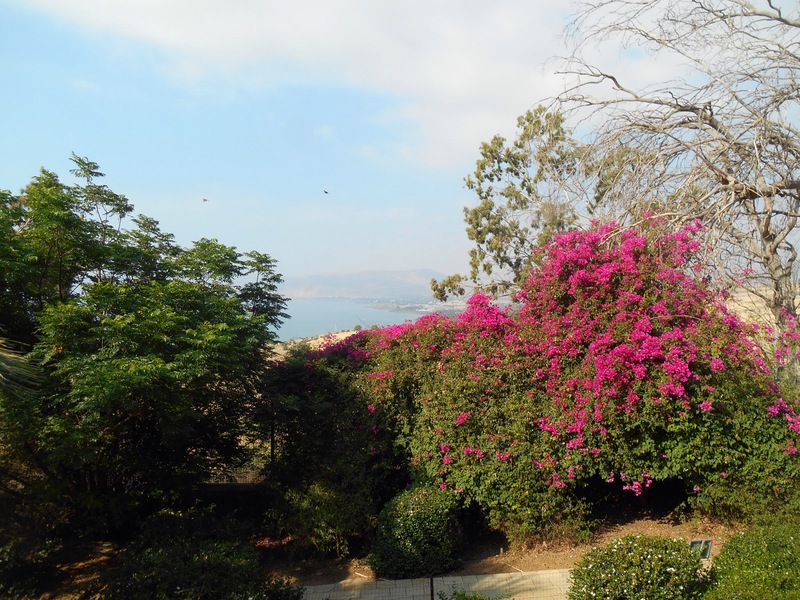 Some of the area is protected by park including the beautiful Banias falls which pore of the mountains sustaining greenery all the way down the river. 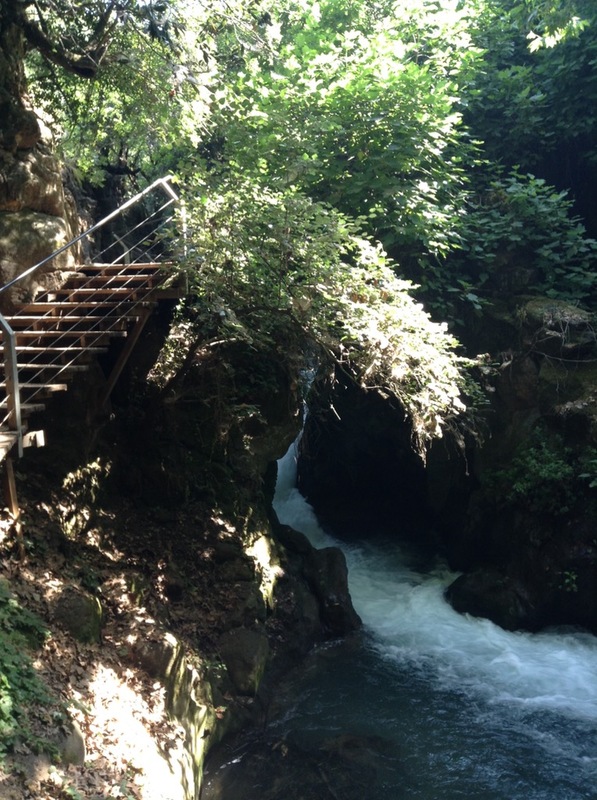 Upstream is the Banias stream, site of the Church of Pan. Pan is a greek God, half goat, half human. Sacrifices were offered to his temple and if the water ran clear they were said to have been taken into the temple and accepted, however if blood appeared in the water, it had been rejected. This area was then captured by the Romans and King Herod, the great builder, commemorated by building another temple upon this site. Later this was added to, the building of layers amplifying the multiple significance of this land. For lunch we had falafel at the foot of Mt Hermon, overlooking a volcanic lake. In winter this mountain is used for skiing which in the heat was hard to picture. 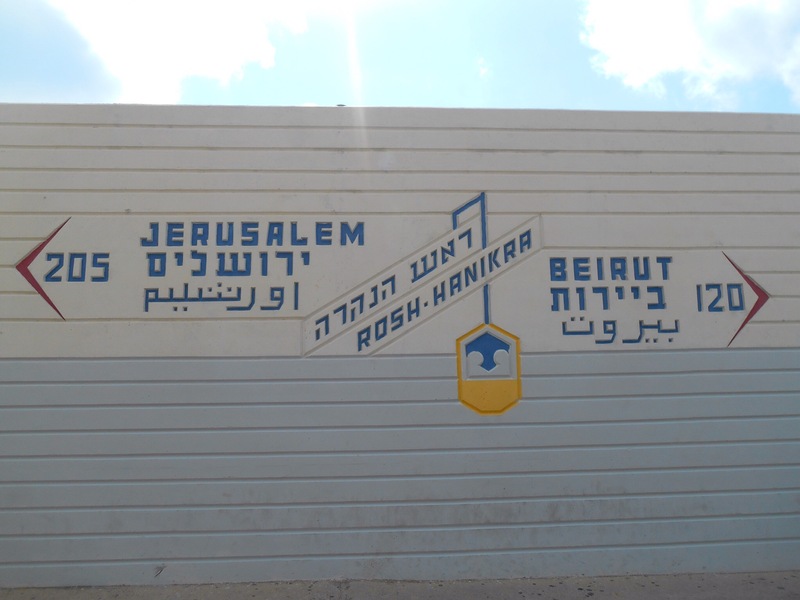 This area is inhabited by the Druze people who were originally Syrian until the land was won by Israel in 1967. We drove further east to the Syrian border which was fascinating. As we climbed to the peak parts of the shells and rockets sent from Syria had been turned into sculptures which were intriguing if not a little disturbing. From this high vantage point you could see the no mans land including the empty village, abandoned in 1967 when the UN intervened in the relations in this area. Beyond lay Syria. There was UN guards stationed there who were happy to talk about their jobs and the situation as they controlled their thankfully quiet outpost. 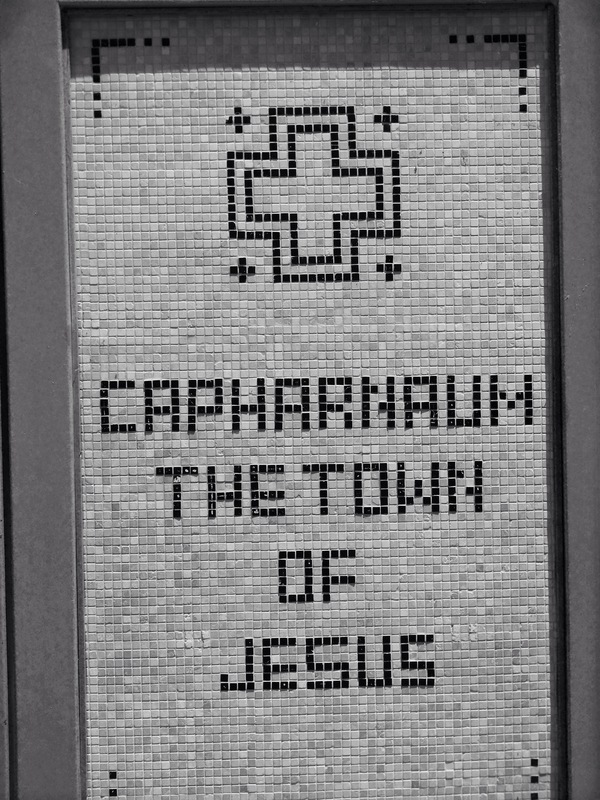 We visited next Capernaum, another significant Christian site of this jam packed day, the town where Jesus lived. 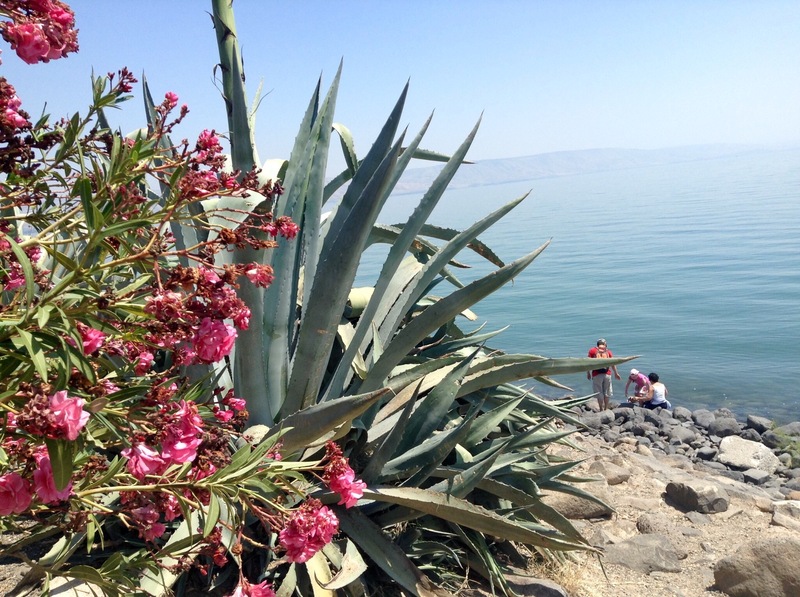 It was right on the banks of the Sea of Galilee where Jesus walked on water. Their was vast amounts of remains from the Roman built town, including the house of Peter. Feeling quite ready to cool off we got ready to swim in the Sea of Galilee. The water was warm and lots of people were bathing in the water. At 214 metres below sea level, this is the second lowest point on earth and is not a sea but a lake. It had been a great group with a vast variety of ages and so the 6 of us decided to go for dinner together. 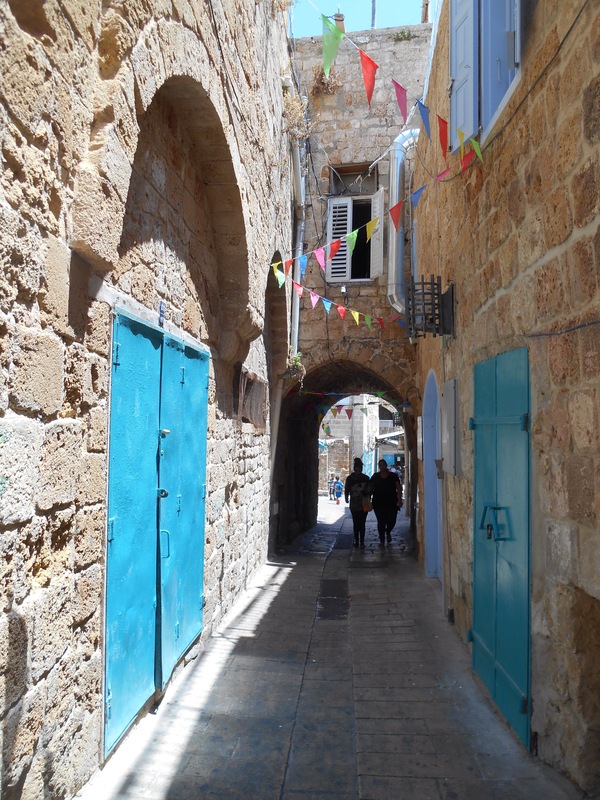 After lovely days out it was so nice to come back to the charming old streets of Nazareth. In the heat of the day, having not eaten since 11am, the few bottles of wine we shared made us all quite giggly as we sat around chatting. The meal of baked Aubergine was well received. On our final morning we had an explanation from the granddaughter of Fauzr Azir, the owner of the ramshackle mansion, about its history. He was a Palestinian who’s grandma was high power in this area and had lost all of the lands to the state of Israel. As such he was resentful towards the Jews and passionate about protecting the house. After his death the house was left empty and ran into squalor with poor tenants and drug dealers using it. 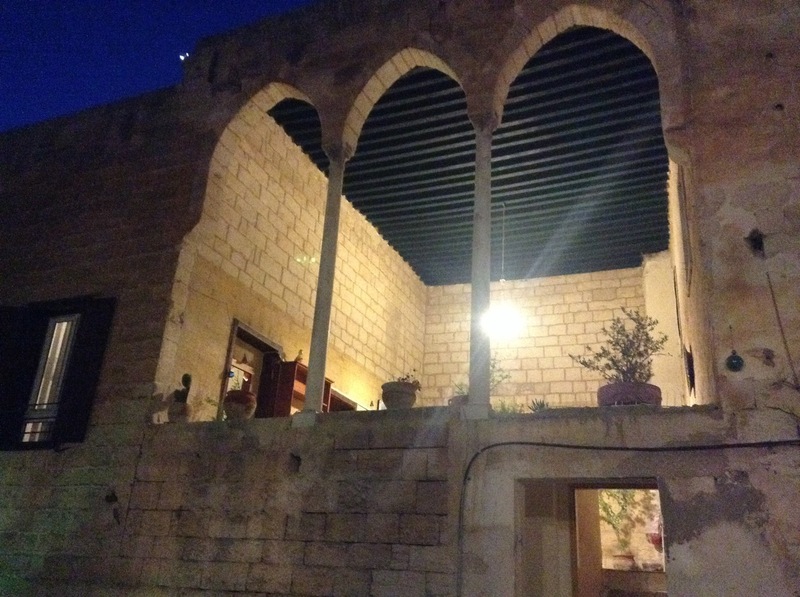 In 2005 the family were approached by a Jewish guy who wanted to use it as a hostel and bring people to Nazareth. She described the city at this time as dirty and dangerous, a large Arab city which was not promoted by the government. After negotiations they agreed to allow him to use the house as a hostel and she stated that whilst this flourished into a successful partnership, this wasn’t some romantic notion of peace but a business to honour the house and life of her grandfather. Nonetheless it seems that the hostel has brought people to the area, ignited trade and opened businesses. The once daunting old city welcomes visitors and people want to assist you when you get lost in their rambling pathways. 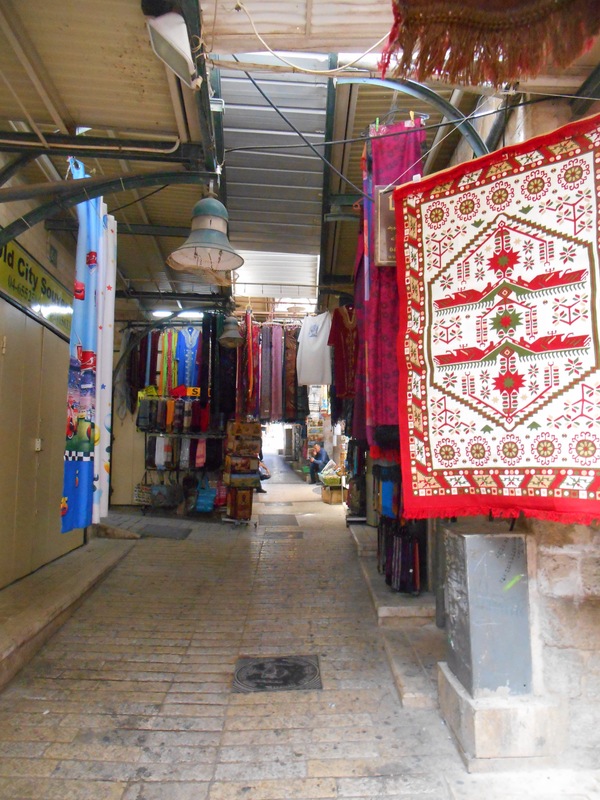 A guide took us to many of the local businesses to show us present day Nazareth, a snapshot of life now. There was coffee mills expounding fresh smells onto the streets, samples of falafel from friendly sellers who beamed to see tourists filling the streets from the Fauzr Azur. 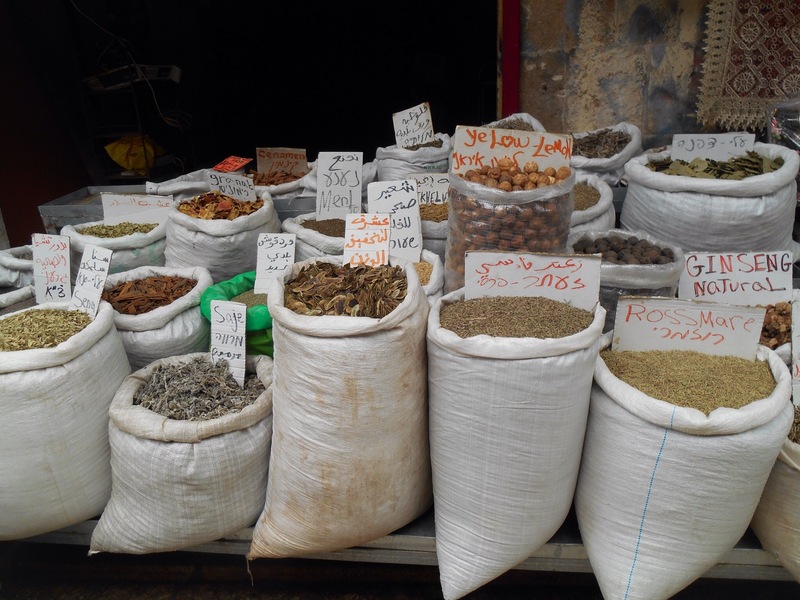 We went into spice markets to sample seasonings, the bags spilling over with tastes and smells to be explored. 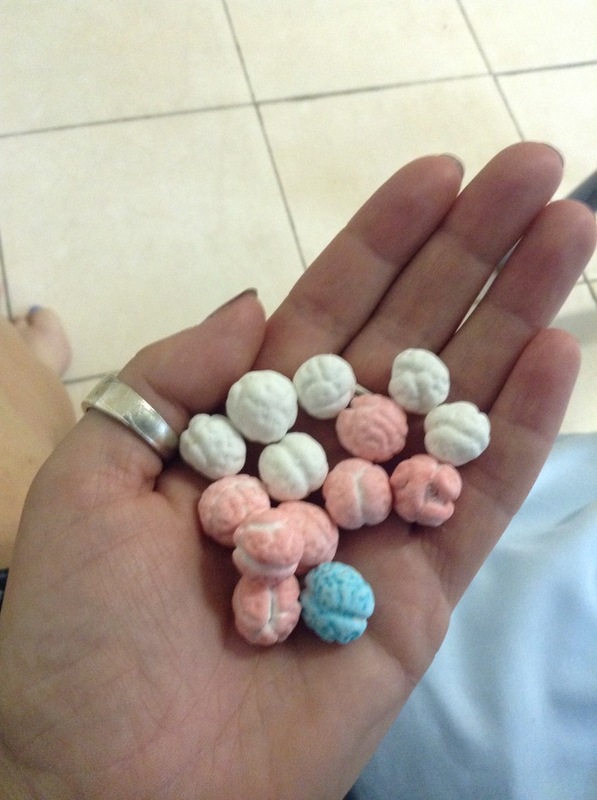 I bought some Arabic sweets, chickpeas covered in a crunchy sugar coating. A lot of the trade used to come from bridal shops which seemed to be revived and modernised by sellers. The traditional stitch was being added to modern garments of bags and scarves. The occasion of the wedding was lavish, women letting their hair free and wearing lots of make up as the party took place in the absence of men so demanded less modesty. We were shown a beautiful eye liner pot, a decorated brass container to which they added ground kohl and a few drops of olive oil. 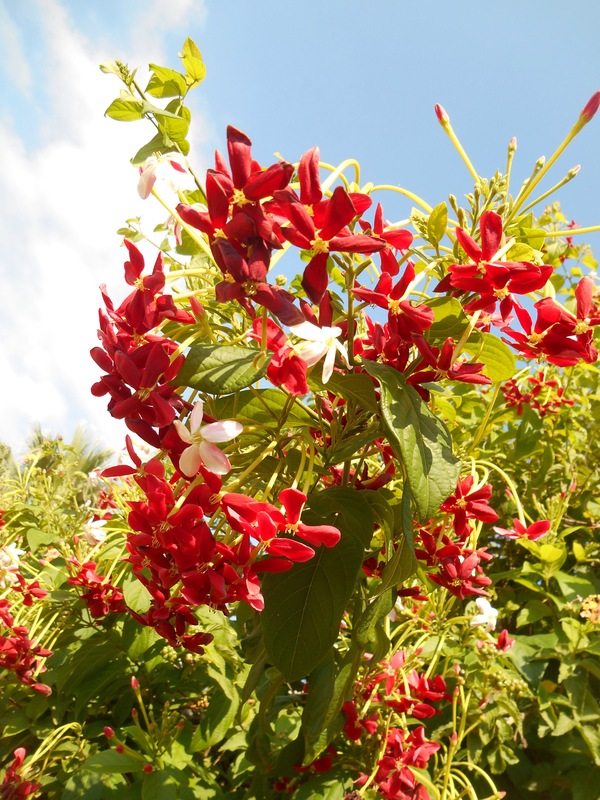 Traditionally this was a gift from the grandmother on the 16th birthday to symbolise becoming a woman. Traditional styles of jewellery were being experimented with to create a place for traditional practices in a modern world. The group piled in to the oldest coffee shop in Nazareth. It was a simple room with a few tables and chairs and the option for coffee, lemonade or cinnamon tea. The smell sold me the cinnamon tea which was very sweet, but served with ground walnuts inside. 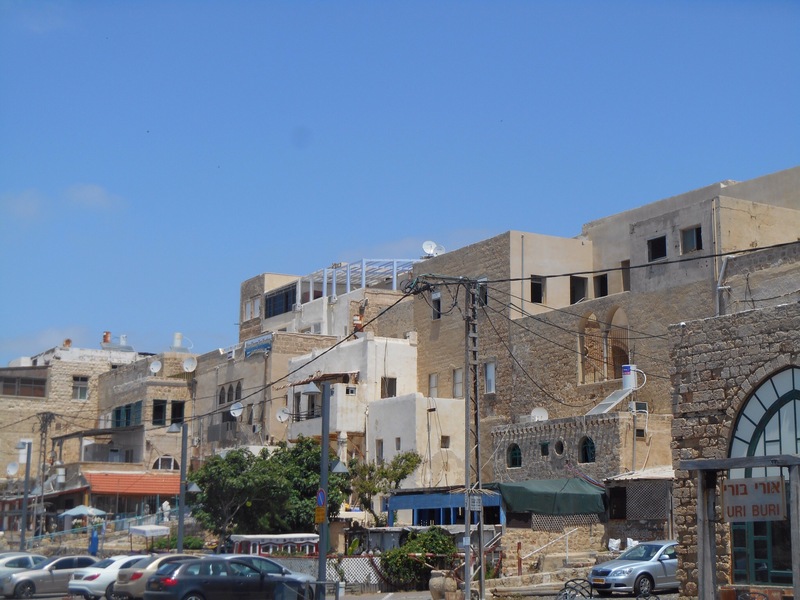 I think we were all feeling attached to Nazareth’s charm, both in the historic significance and modern day bustle but it was time to leave. The shuttle which took us from the town took us up many winding streets where two cars would attempt to pass where not even one should fit. At many points it was easier to shut your eyes and wait for it to be over as the hand gestures and negotiations went on. Wow this looks absolutely incredible, love the photos overlooking the rooftops and the sea, stunning!